“We can all point to incidents in campaigns across history, but I think this one probably does represent a new place in terms of incivility,” said James Mullen, president of Allegheny College in Meadville, Pennsylvania, which awards a prize each year for civility in public life. Where Has the Civility Gone? Jim Mullen, the president of Allegheny College in Meadville, Pennsylvania, spoke by phone about a new poll on the level of civility in the 2016 presidential campaign. “There’s been a worrisome decline in the civility of American politics, and it may be infecting even those of us who aren’t running for office. “Don’t agree? Then you obviously have no friends and hate our freedoms. October 17, 2016 (Meadville, PA) – As American voters await the third and final presidential debate this week, a landmark new Zogby Survey on Civility in U.S. Politics commissioned by Allegheny College reveals chilling trend lines for civility in America. The September 2016 survey of 1,286 adults, which revisits the same questions asked in Allegheny’s 2010 benchmark civility survey, shows that this year’s presidential campaign appears to be the most uncivil in recent American politics. And the uncivil behavior appears to be numbing the electorate. 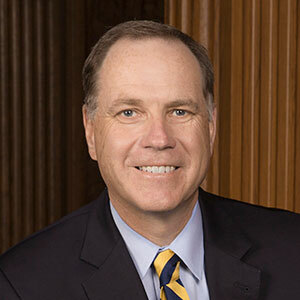 “These findings are stunning and deeply disturbing for everyone who believes civil discourse is essential to the long-term health of our democracy,” said Allegheny College President James H. Mullen, Jr.
For example, in 2010, 89% of respondents said commenting on another’s race or ethnicity in a political engagement was not okay. Today that number has dropped to 69%, a full 20 points. Similarly, 81% said commenting on someone’s sexual orientation was not acceptable. Today that number is 65%. And the percentage of voters who believe elected officials should pursue personal friendships with members of other parties plummeted even more precipitously, from 85 percent to 56 percent. Deeply troubled by the rise of incivility in U.S. politics, and its negative impacts on political participation, particularly among young people, the College created the Civility Prize in 2011 to highlight and reinforce the unheralded public figures who strive to positively advance civility. The 2016 winners were Vice President Joe Biden and Senator John McCain. The survey found fewer voters today hold civility to be important or even possible. Eighty percent of 2016 respondents said they believe civility in politics is important for a healthy democracy, compared to 95% in 2010. And 77% of 2016 respondents said it is possible for people to disagree respectfully, compared to 87% of 2010 respondents. The 2016 survey also asked how respondents would rate the civility of recent presidential elections. The respondents found that the Trump/Clinton election to be the most uncivil by a wide margin. When looking at the individual candidates in recent presidential elections, the two 2016 candidates also ranked most uncivil. Allegheny College is a national liberal arts college where 2,100 students with unusual combinations of interests and talents develop highly valued abilities to explore critical issues from multiple perspectives. A selective residential college in Meadville, Pa., Allegheny is one of 40 colleges featured in Loren Pope’s “Colleges That Change Lives” and is also featured in “Harvard Schmarvard: Getting Beyond the Ivy League to the College That Is Best for You” and Peterson’s “Competitive Colleges, 400 Colleges That Attract the Best and the Brightest,” among many other guidebooks. Allegheny is one of the nation’s oldest liberal-arts colleges, celebrating its 200th anniversary of learning at its picturesque campus in 2015. Zogby Analytics is respected nationally and internationally for its opinion research capabilities. Since 1984, Zogby has empowered clients with powerful information and knowledge critical for making informed strategic decisions. The firm conducts multi-phased opinion research engagements for banking and financial services institutions, insurance companies, hospitals and medical centers, retailers and developers, religious institutions, cultural organizations, colleges and universities, IT companies and Federal agencies. Zogby’s dedication and commitment to excellence and accuracy are reflected in its state-of-the-art opinion research capabilities and objective analysis and consultation. Zogby Analytics was commissioned by Allegheny College to conduct an online survey of 1286 adults in the United States. Included in the data were 1093 likely voters. Using internal and trusted interactive partner resources, thousands of adults were randomly invited to participate in this interactive survey. Each invitation was password coded and secure so that one respondent could only access the survey one time. Using information based on census data, voter registration figures, CIA fact books and exit polls, we use complex weighting techniques to best represent the demographics of the population being surveyed. Weighted variables may include age, race, gender, region, party, education, and religion. Based on a confidence interval of 95%, the margin of error for 1286 adults is +/- 2.7 percentage points. The margin of error for 1093 voters is +/- 3.0 percentage points for the likely voters sub-set. This means that all other things being equal, if the identical survey were repeated, its confidence intervals would contain the true value of parameters 95 times out of 100. Subsets of the data have a larger margin of error than the whole data set. As a rule we do not rely on the validity of very small subsets of the data especially sets smaller than 50-75 respondents. At that subset we can make estimations based on the data, but in these cases the data is more qualitative than quantitative. Additional factors can create error, such as question wording and question order.